We’ve said it repeatedly, but one of the few walls standing between Fuel TV and a much, much larger audience is that linear TV is dead and they don’t have enough going on the web. It appears that this may change now that Lee Pearson has joined the Fuel team as Director of New Media. Reporting to Olivares, Pearson is responsible for strategy and operations of non-linear network initiatives including Internet, mobile and other digital platforms. Pearson will continue to build relationships with all technical, content and development vendors in association with FUEL TV’s existing new media businesses, while exploring strategic partnerships to enhance FUEL TV’s position in the marketplace. After launching what many have called the best looking snowboard magazine ever, Mark Sullivan has announced that he has decided to step away from his post as publisher of Snowboard Magazine. On his new website MediaKnievel.com he explains it all. I recently decided to step away from my post as publisher of SNOWBOARD MAGAZINE. 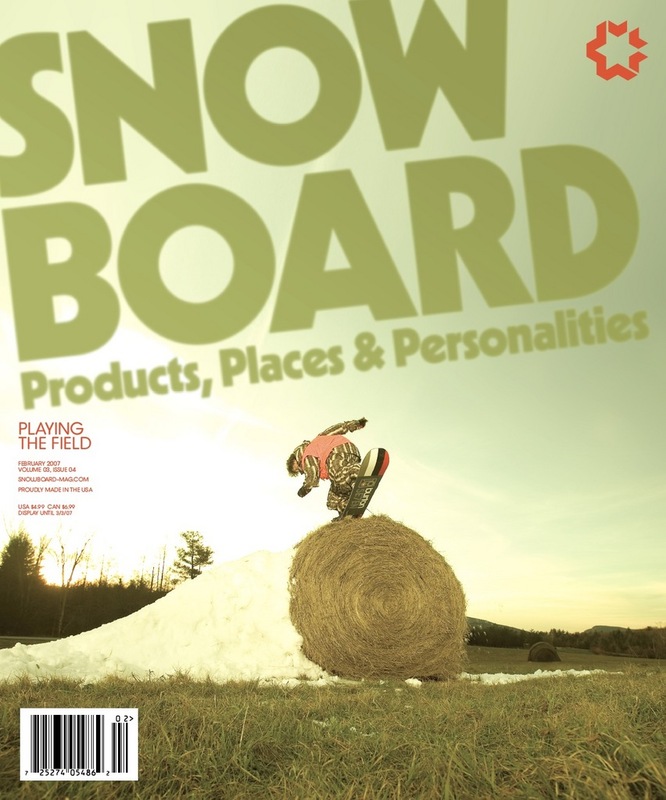 After starting the magazine in 2004, our crew fought to make the best magazine in snowboarding. I think that we have a lot to be proud of and I stand behind each issue we put out. More recently we had some financial difficulties and partnered with Storm Mountain Publsihing to help us find the success and stability we found elusive as a single title publisher. Although our partnership has proven successful on many fronts, my difference of opinion on the operations of SNOWBOARD MAGAZINE requires that I look to new ventures. It has been a great pleasure creating this brand and a community around a sport that I love. I have learned a lot and I want to thank each of you for the support to make it as far as we have. More on this story soon. . . Diversion Media, a New York City based video company has announced the launch of Snowvision.com, yet another “broadband action sports channel.” Yee haw, the bandwagon is beginning to sag. Yep, more authentic action sports from the heart of New York City. Follow the jump for more. PES a commercial film company with representation in the United States and Britain has created a new stop-motion TV commercial for Sneaux Shoes in which one man rides another around LA and the LA river like a skateboard. Don’t know how they figured out who would be the bottom or the top. But the guy in earrings eats a lot of gravel in the process. Click the links to the watch the video. Stacy Peralta made a self-referencial documentary about his crew of skaters, and now Sunny Abberton has done the same thing in Australia with a documentary called Bra Boys which is narrated by Russell Crowe. [The film] focuses on the surf tribe known as the Bra Boys. Hailing from the drug-inflicted and poverty-ridden housing commissions of Maroubra Beach in Sydney’s south, this tribe has produced some of the world’s most renowned big wave surfers. Bra Boys premieres at the State Theatre in Sydney on Wednesday, March 7. For more info check this Sydney Morning Herald story. Each week we get a press release from Fuel TV about who is going to be on The Daily Habit show (John Stouffer is very good that way). And normally, we just post them in the Sack Forums. But tomorrow at 6:00 PM PST Shaun Tomson will be on the show and that means it will be well worth watching (in our opinion). Few people have seen more of the surf world than Mr. Tomson, and fewer still are able to communicate their wisdom as well. Click the jump for all the details. Being number two on North American newsstands never sounded so good. In sheer size, this Primedia auction is expected to dwarf the recent Time Inc. selloff of 18 magazines, which fetched a price estimated to be around $225 million. That deal – which was won by Swedish publishing giant Bonnier – is expected be finalized in early March and went for about 11 times its cash flow.